December 18, 2014 silentlyheardonceHope, light, Love, peace, Poetryancestors, Blessed, breath, confidence, descendants, future. Kimberly, beautiful thoughts on “the greatest gifts” – all adding up to those of freedom, respect, dignity and kindness for all. The greatest of gifts … we need a lot of that rain in the word today. I hope soon that many more will share that Gift of Living Free of Fear Kim.. And in giving love and Hope.. I thank you..
Me too Sue, me too. An early Christmas gift, perhaps? A beautiful poem for any season. Read and enjoy. 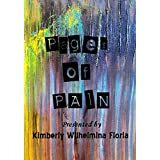 Kim, as I read your poem, it calmed my emotions, easing me into my blessing of a Friday morning. Thank you, thank you, thank you, Kim, you are a blessing. Great poem Kim. And a great message. INdeed the greatest of all gifts. Perhaps embryonic tears give rise to new birth and resurrection. Perhaps. As long as tears turn to smiles at some point. I so much enjoy you enjoying your gift, Kim! The gift is all of ours.